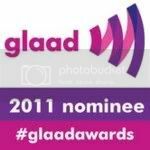 GLAAD President Jarrett Barrios has resigned, according to information provided to R20 from GLAAD Director of Communications Rich Ferraro. The organization will release a statement soon. The move follows an earlier report today from Ben Smith at Politico, that the executive committee of the board voted to remove Barrios but "he refused to resign." Barrios has been the focus of criticism for several weeks after it was revealed GLAAD was one of several progressive groups that backed the AT&T/T-Mobile merger. Reports surfaced of another statement from GLAAD written to the FCC opposing "net neutrality." AT&T is one of GLAAD's biggest annual donors. "The circumstances around that letter had been covered up by GLAAD and Barrios," reports Michelangelo Signorile. "Until he finally admitted he had sent the letter. Allegations that Barrios was trading favors with board members, including AT&T's Troup Coronado, were first made by former board co-chair Laurie Perper on my show last week."